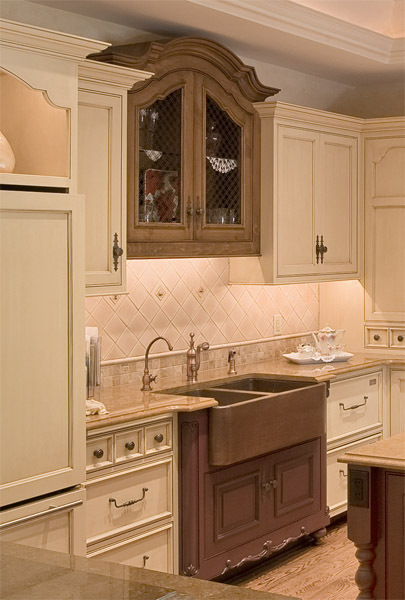 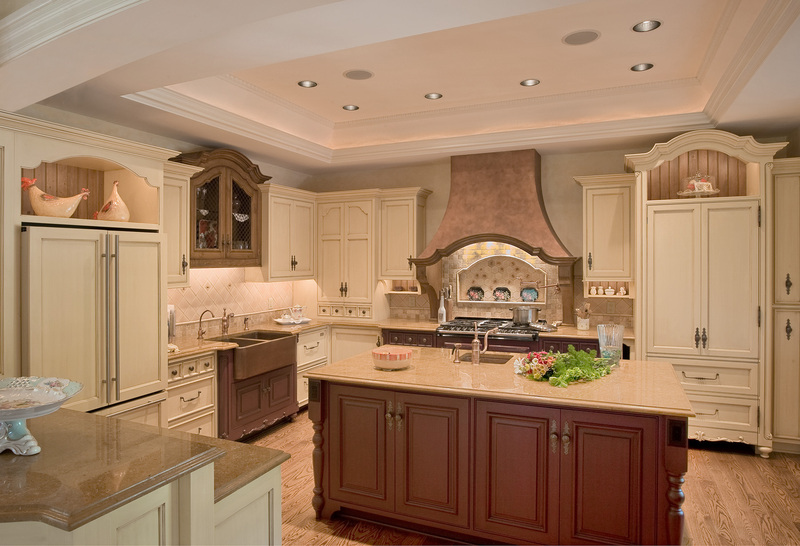 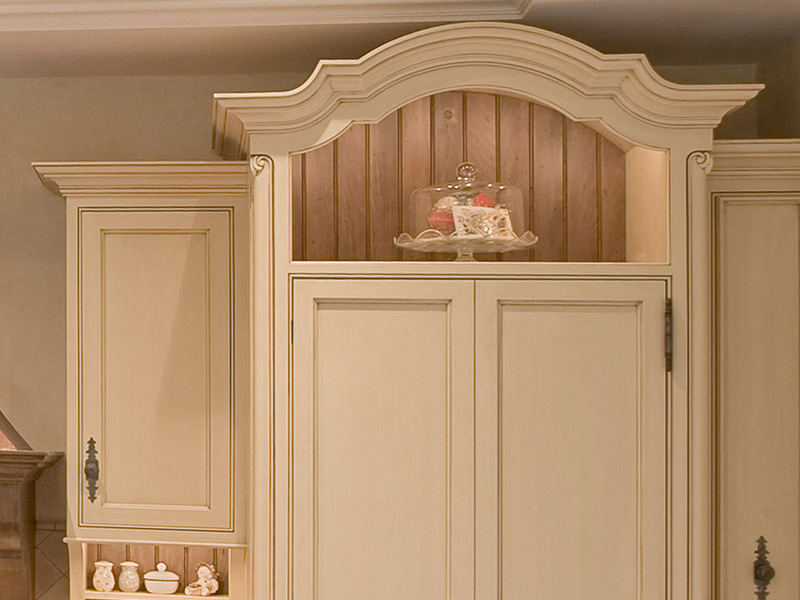 Located within the county of Lancaster this French inspired Country kitchen was created using multiple finishes. 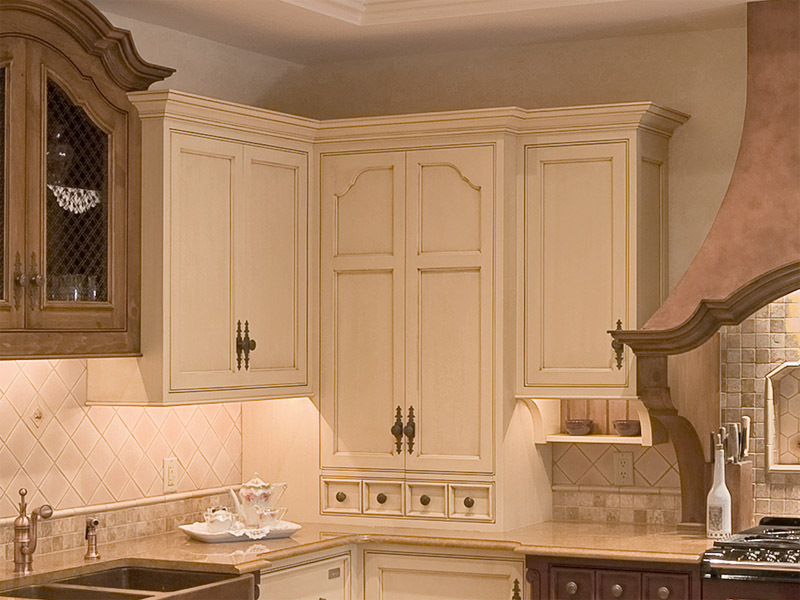 The primary finish includes a creamy white paint glaze, while accent pieces are stain glazed knotty pine and finally there is a deep punch of color added on the island and select bump-outs. 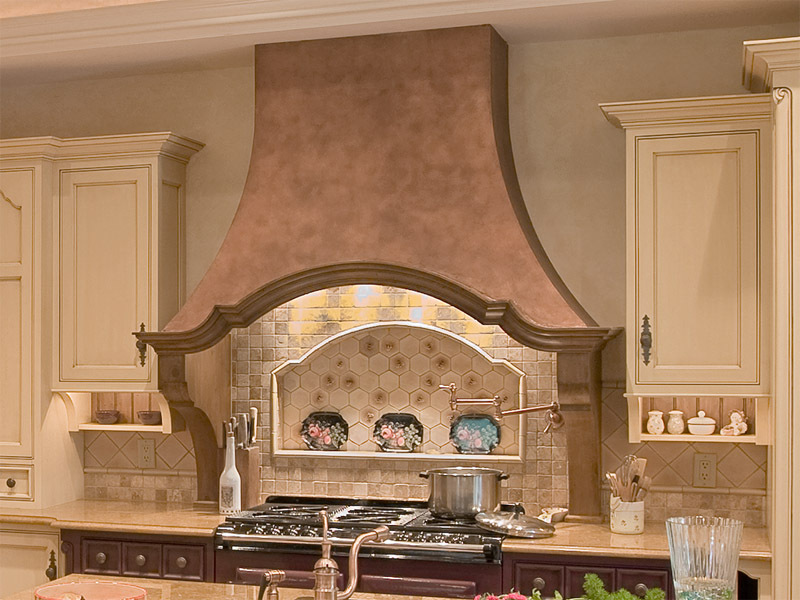 This third and final color was custom blended to the clients Aga range for a perfect match.